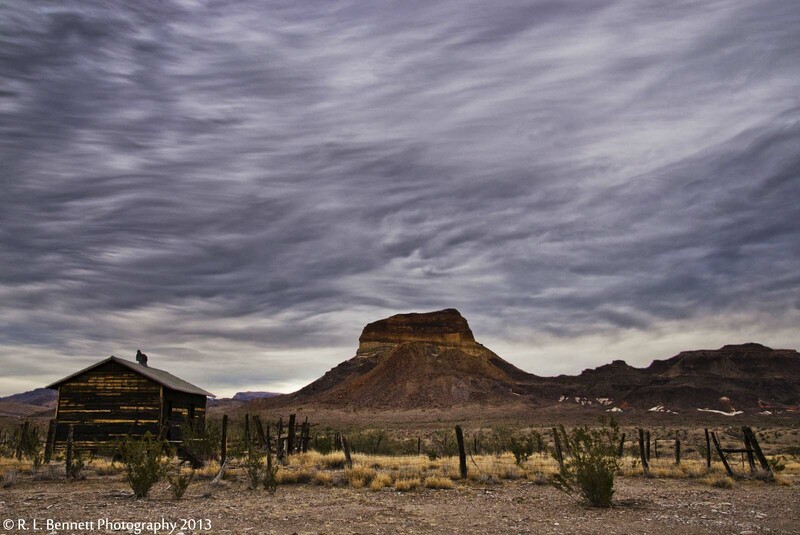 Gray skies blanket the Chihuahuan Desert in Big Bend National Park, near Castolon Village and Visitor Center. The prominent peak is called Cerro Castellan, which means “castle-warden’s hill.” Stretching 3,293 feet above sea level, TSHA calls it “a high stack of volcanic rocks.” Read more from TSHA here. Taken on January 11, 2013 with a Nikon D7000 and 18-55mm f3.5-5.6 Nikkor lens. Click photo to enlarge.